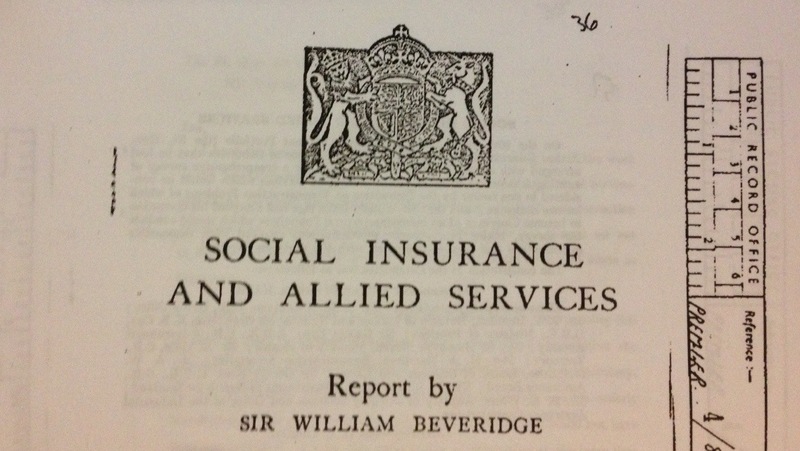 It was recently the 70th anniversary of William Beveridge’s famous report on the welfare of the UK people (‘Report of the Inter-Departmental Committee on Social Insurance and Allied Services’). In it he identified five ‘Giant Evils’ in society: squalor, ignorance, want, idleness and disease. After seven decades the United Kingdom now has a ‘welfare state’ based loosely on the recommendations within this report. On all sides of political debate, from ‘left’ to ‘right’, from statist to libertarian, the welfare state can be seen to have fallen short of the ideals for which it was established. This article focuses on the changes to the welfare ‘benefits’ system that were proposed, implemented and subsequently evolved in the interim period. The report’s initial objective was to “survey … the existing national schemes of social insurance” that were available at the time and “to make recommendations”. Existing schemes, surely not? Weren’t people left to die in the streets before the founding of the welfare state, that’s what I was taught at school? Well, surprisingly not; the survey documents considerable legislation. Over the preceding 45 years, beginning with the Workmen’s Compensation Act of 1897, there was a plethora of legislation designed to make certain insurances compulsory. The above act was initially limited to a small number of occupations but was extended in 1906 to cover all, with compulsory health insurance beginning in 1912. Similarly unemployment insurance began for a small number of industries in 1912 but extended in 1920. The Pensions Act came into force in 1908 giving a non-contributory pension to all over 70; this was added to in 1925 by contributory pensions, which also covered widows and orphans. The Unemployment Act of 1934 replaced several earlier unemployment insurance schemes and introduced a national Unemployment Assistance service. Adding to this huge growth in social insurance were medical services, disability assistance, child welfare services (including pre-school), death and ‘other contingencies’. These services were mainly funded by life assurance companies, friendly societies and trade unions. The report’s authors found the existing landscape “impressive”: it showed “that provision for most of the many varieties of need through interruption of earnings and other causes that may arise in modern industrial communities has already been made in Britain on a scale not surpassed and hardly rivalled in any other country of the world“. The only areas of social care that the committee could fault were healthcare, funerals and maternity. However where they did rail against the existing array of systems was its organisation: “a complex of disconnected administrative organs, proceeding on different principles, found invaluable service but at a cost in money and trouble and anomalous treatment of identical problems for which there is no justification” (as if voluntary interaction needs ‘justification’). They concluded: “It is not open to question that, by closer co-ordination, the existing social services could be made at once more beneficial and more intelligible to those whom they serve and more economical in their administration.” Anyone who has dealt with the Department for Work and Pensions, with its lack of communication and coordination, would question that we’ve made that much progress under a state-centralised system in 70 years. The claim of improved efficiency by providing insurance services through the state is laughable; you don’t need to know about Friedman’s Law to recognise this. Beveridge and his committee, through the bureaucrats’ rose-tinted spectacles of war, and its necessity to have central control over the economy, saw this wide range of services and suppliers as inefficient, wasteful and uncoordinated. They wanted to impose order: a centralised, government-led system. The first principle argued that whilst there had been a working system of social services in the past they should not be afraid to be revolutionary, not evolutionary: “Now, when the war is abolishing landmarks of every kind, is the opportunity for using experience in a clear field. A revolutionary moment in the world’s history is a time for revolutions, not patching.” The destruction of war was used as a lens to see the future, to promote a brave new world. The second principle was that “social insurance should be treated as one part only of a comprehensive policy of social progress.” Yet again, this is evidence that their aspiration was to design and engineer a new society based on their ideals. The third principle was that social security must be achieved by a “co-operation between the State and the individual”. The State should “offer security for service and contribution”. (Benjamin Franklin is often quoted as saying: “Those who would give up essential liberty to purchase a little temporary safety, deserve neither liberty nor safety”). This Faustian pact with the ‘State’ required more than just service and contribution though. Amusingly the current critics of Workfare, a system that requires unemployment benefits’ recipients to work ‘for free’ (i.e. for their benefits), would abhor the controls and limits in place in the early welfare state. Most interestingly the third principle goes on to say “The State in organising social security should not stifle incentive, opportunity, responsibility; in establishing a national minimum, it should leave room and encouragement for voluntary action by each individual to provide more than that minimum for himself and his family.” This is shocking in its short-sightedness: the private market in social insurance was quickly destroyed by the implementation of the welfare state, with almost everyone expectant of, and becoming quickly reliant on, the state benefits. After 70 years the current system has inherent traps that even Iain Duncan-Smith’s planned far-reaching reforms, designed to ensure that work will pay, will not resolve. It has systematically achieved the end of personal responsibility over 70 years, in the same way that the universality of the NHS has discouraged primary health care over its lifetime. Fabians and other socialists should have the bravery and honesty to admit this, as a few already have, rather than continue to defend the indefensible. National Insurance or Ponzi Scheme? One of the recommendations was that pensions should be introduced to all citizens “without means test by stages over a transition period of twenty years, while providing immediate assistance pensions for persons requiring them.” This was a real insurance scheme, with contributions accruing over time and payouts reflecting the amount paid in; this is unlike the current scheme which pays the current beneficiaries not from their ‘contributions’, nor from the current contributors, but from debt borrowed against the next generation’s contributions. The current system is a Ponzi scheme, a fraudulent and fundamentally dishonest approach, not the genuine insurance scheme recommended by the report’s authors. Note two key points: ‘subsistence benefit’ and ‘flat rate of contribution’. Employees (employed under a contract of service). Others gainfully employed, including employers, traders and independent workers. Housewives (married women of working age). Others of working age not gainfully employed. Classes VI would receive pensions and class V would receive children’s allowances “paid from the National Exchequer in respect of all children when the responsible parent is in receipt of insurance benefit or pension.” Note that children’s allowance was only paid to the children of those on another form of benefit! This would cause uproar if proposed now and contradicts the principle of universality that many believe has existed in the welfare state from the start. Beveridge was against means-testing due to the high marginal tax rates it caused, which discourage work. The idea of a centralised system of social insurance comes from socialist ideology, a dogma that the state can better organise, via its inherent bureaucracy, a comprehensive insurance scheme across all of the economy. It wasn’t proposed to replace a failing system, for self-evidently it wasn’t failing, but to fill a few gaps and counter the inefficiencies of the private sector. To design this system with this goal in mind allowed its architects the ability to shape society in the mould they wanted – a Fabian socialist society. Beveridge’s report was imperfect in many ways, not least in recognising the changes in society towards the family. The evolving role of women in leading and running households, necessary during both wars, and the societal changes in the inter-war period, meant that women’s role in the family had forever changed. However Beveridge still had a very Victorian view of the family. Beveridge was also a eugenicist, like many fellow Fabians. He believed that while men who could not work should be supported by the state they should suffer “complete and permanent loss of all citizen rights — including not only the franchise but civil freedom and fatherhood.” Can you imagine the furore if a current government minister suggested the loss of franchise for those on benefits? Or worse, limiting their ability to have children? Sadly this is the natural and obvious conclusion of a planned socialistic society, whether socialists recognise this or not. While Beveridge may be considered to have good intent, to create a comprehensive efficient system of social insurance, he inadvertently created a system that would maintain and increase poverty, entrapping generations in benefits, teaching children that the state, and only the state, can always provide for them. There was a major problem with Beveridge’s report: it was written during the middle of World War 2 when Britain was operating (reasonably successfully) a command and control economy, with full employment. He recognised this fundamental flaw and subsequently authored (though this was disputed by Hayek) a book on the issue: ‘Full Employment In A Free Society’ (1944), in which he proposes radical socialist changes from Keynesian ‘priming’ of the economy during periods of low demand, to introducing of wage arbitration to keep down workers’ wage inflation. The current dispute over capping benefit rises at 1% per annum is a classic example of how much the current system has diverged from Beveridge’s original concept: he would be horrified to think that benefits would rise faster than the wages of those in work; benefits were intended to be a short-term safety net to help people whilst unemployed, not as a permanent replacement to working wages. In fact Beveridge has specifically proposed that unemployment benefit be low so that it didn’t encourage ‘idleness’. The general shock from many of a phone call to Julie Hartley-Brewer’s LBC show, the caller typifying the state-sponsored unemployment that the welfare state has created, demonstrates that many in society don’t understand the dangers of widespread ‘idleness’. Frank Field MP is renowned as an expert on the welfare system. He was appointed by Blair to “think the unthinkable” about welfare; when he did Blair fired him. The Labour Party wasn’t ready to slaughter its sacred cow and actually do anything about the issues facing the welfare system. Why not? Well many of those who would suffer most under the changes would be traditional Labour voters: political expediency and populism won out over ‘doing the right thing’, addressing the need to change a rapidly-failing system. This brings to mind the famous adage “a government which robs Peter to pay Paul can always depend on the support of Paul” (ironically from Fabian socialist George Bernard-Shaw). We have created a system whereby many indigenous British people of working age see a high marginal cost to legal employment, especially for low wage jobs. As many of these lower-paid jobs are still attractive to immigrants, who come here to work not claim benefits as many critics would believe, these low-paid roles are taken by immigrants who often pay a significant share of their earnings in tax to subsidise the indigenous claimants. By distorting the labour market with the national minimum wage and the inherently dangerous and corrupt modern welfare state we have come to accept 1-2 million unemployed as the ‘natural level of unemployment’; this is the real price of the current welfare system; millions condemned to the poverty of ‘idleness’ as Beveridge called it. By not implementing Beveridge’s recommendations as he intended, we have not just moved away from the full employment his system required, but been driven to artificially high unemployment by the very system which was adopted in his name. This system is now unsustainable and will draw heavier on the economy as the population ages, and worse, while generations of children grow up with no working role model in their family. Any rational person must see that the welfare state, as it exists now, does not represent the aims and ideals of its founders. As a mechanism to protect the unfortunate and promote opportunity it can only be seen to have failed. Put simply, is not fit for purpose. No libertarian wants poverty or unemployment, despite what our critics think. While socialists won the moral debate how to resolve these issues in 1942, due to many of them within the intelligentsia at the time, their approach has failed and been seen to fail. It’s time for libertarians to reiterate the market as the natural solution to poverty and unemployment. The free market is the only welfare. The welfare state is dead; let us now improve the state of welfare. Without the state. This entry was posted in Article and tagged Beveridge, Beveridge Report, IDS, welfare state. Bookmark the permalink. We still have ignorance and idleness and have done nothing but increase BOTH. Squalor is all around – because no-one has ever educated the chavs into HOW to look after a home and a family.